Emerson says that Chelsea must ensure they are playing in the Champions League next season at all costs ahead of the Blues’ clash with Everton later today. Emerson has recently found new confidence under Maurizio Sarri and has started two of Chelsea’s last two games in the Premier League. The Italian left-back has only started three league games so far this season but has found minutes in the Carabao Cup and Europa League to impress the Chelsea boss. The Europa League is becoming ever more attractive to the Blues who are in search for a return to Champions League football. The battle for a top four position is proving harder than ever before. In an interview with Chelsea, Emerson said: “The season has not been fantastic, but I think we deserve to be in the top four and we have a good chance to be there. “We need to play in the Champions League at all costs. “It’s important, not just for me, for everyone. The Champions League is the biggest club competition there is, and we always talk in the dressing room how important it is. So we just need to get there." “We have a good chance to make it,” the 24-year-old said. “The other teams competing for the top four, they have to play each other, and we deserve it. Last weekend the Blues were held out to a disappointing 1-1 draw at Stamford Bridge with Wolverhampton Wanderers. However, the Italian left-back was able to pick out some positives to take into the game against Everton. “We didn’t play badly last Saturday, I thought we played quite well. We had 26 shots on goal, they only had two and scored one. “If anything, what was lacking was a bit in terms of attacking play, movement off the ball, and maybe a bit more determination near the goal, but other than that, we played quite well." Chelsea turn their heads and travel to Merseyside to face Everton at Goodison Park hoping to pick up three crucial points. With points dropped to Wolves, Bournemouth and Arsenal, Sarri will be hoping to return to winning ways. “It’s another difficult match, a very important match and it’s away from home. I think we need to continue being solid at the back, try not to concede and maybe more determined and create more in front of goal." 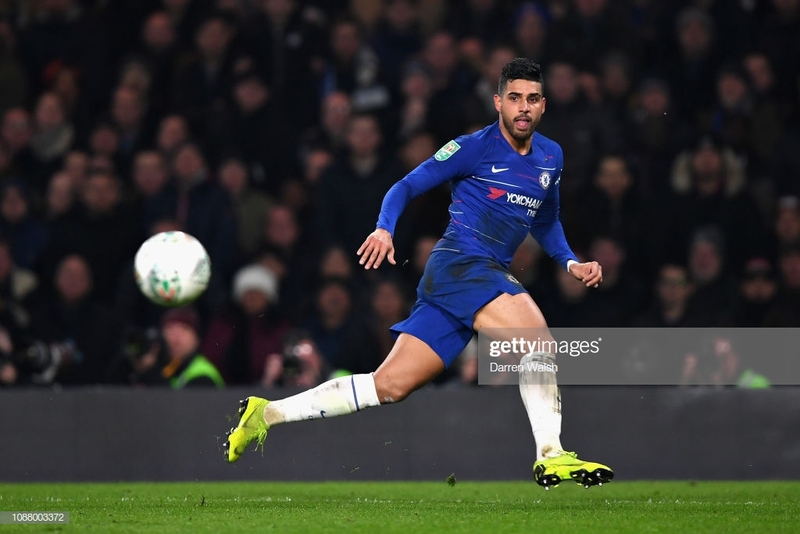 Since joining from Roma in January 2018, Emerson has made just 26 appearances for the South West London club scoring just once and assisting thrice. The Brazilian-born defender reflects on his time in England so far. Emerson said: “It is so competitive, even when you play teams from the lower half of the table you struggle. Every game seems to be a cup final in the Premier League. “In terms of my favourite moment, it was my debut, the first time I started a game, which was away from home at Burnley,” said the Italian.